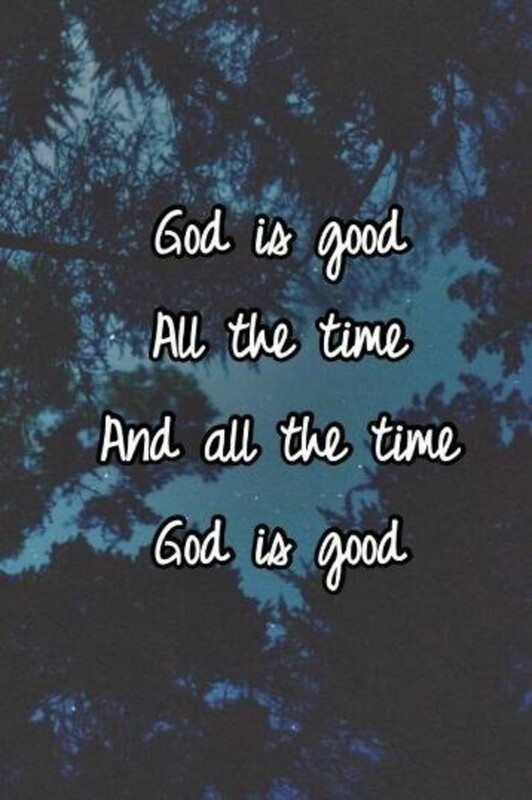 As I begin I just want to say that ‘God is good - all the time’ and ‘all the time - God is good.’ It just never ceases to amaze me how He works in and through all that is going on in life. I sometimes wonder how He does, it, but He does. Where we may not see every detail, God does. Even in what seems to be the most difficult of situations, God is there and is working all things together for good. Sure, we may question just how good it is, but in the final picture it is very good. As I look back over my life, there were times when I wondered just how things could work out. Yet God was already working in the midst of it all and bringing about His will. I won’t say it was all easy, but it surely was a learning experience. I feel that I can really understand what the people of Israel experienced as they were coming out of Egypt and heading for the Promised Land. It was going to be a land of promise there is no doubt, but before they got there it was difficult to say the least. Yet God told Joshua – “Just as I have been with Moses, I will be with you; I will not fail you or forsake you.” (Joshua 1:5b). There is no doubt that God worked in and through Joshua even though everything was not perfect. God ultimately brought the people into the Promised Land through Joshua’s leadership. They weren’t free from trials and struggles, but they did have a homeland. I guess that is what many experience even today. The journey is long and filled with one struggle after another. There are times when family issues rise up. Other times there are things that go on at work or school. Sometimes we have a struggle that goes on in close relationships we have in life. Our struggles in life aren’t easy. While God never promised that our journey would be easy, He did promise that He would never leave us, nor forsake us. (see Heb. 13:5). He did promise that He would walk with His children through the struggles they face and lead them to the land of promise. Yes there is one thing that we have to remember as we go through life regardless of what we are facing. Know what it is? That’s right – God is with us. He is Immanuel. Regardless of the circumstances which we may find ourselves in, when we are a child of God, He will never leave us nor forsake us. Did I mention that Joshua means “Jehovah is salvation”? When our son was born we gave my Dad the opportunity to pick the name of his grandson and he chose Joshua. He said that he had always liked that name and we would always be reminded that God is salvation. There are times when we may wonder exactly what God is doing in a certain situation, but we can always trust that He will lead us safely along the way. We can know that regardless of the circumstances which we may find ourselves in, God is greater and more powerful than all of them. There will be times when it may seem more difficult than you can bear, but don’t give up. God will be with you. He will bear you up in the midst of all that goes on and safely lead you where He desires you to be. So when I say that ‘God is good – all the time’ just remember that He has promised that He will never leave us nor forsake us. That is a promise that will lift us up when times are tough and go with us through each day. Today God desires to be there for you and carry you through all that you face. Trust Him to take you to that home He has prepared for you. 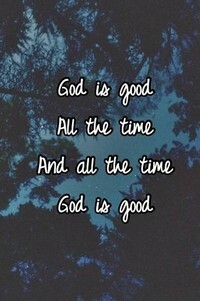 And remember – He is good!